March 7, 2019 – Leading oral implantologist, researcher and inventor Prof. Dr. Mario Kern is launching his Extended Anatomic Platform at the IDS show this month. GE Additive’s dental hybrid solution has been integral in developing Prof. Dr. Kern’s solution, which he believes has the potential to revolutionize dental implant prosthetics. First invented to aid the chewing function, over time, the focus for dental implants has shifted from mechanical requirements to more biological and aesthetic aspects – and for their appearance to be as close to nature as possible. 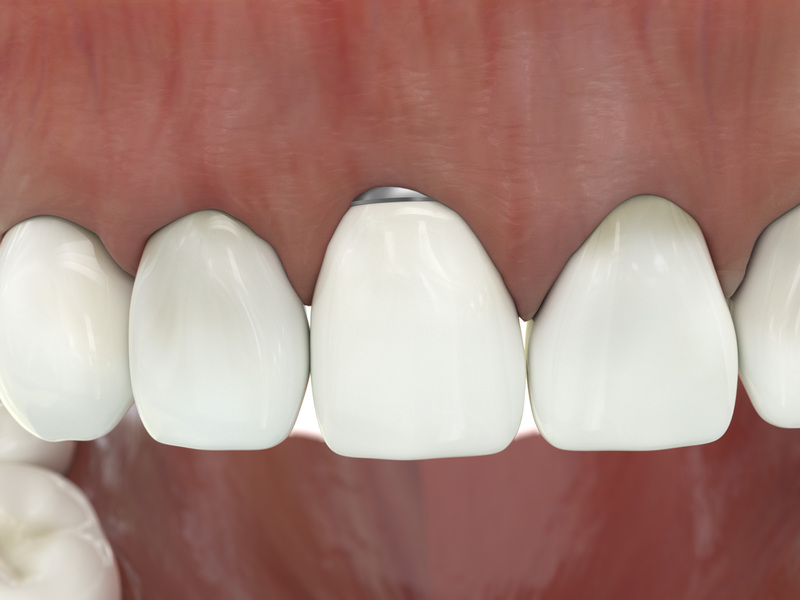 Because of this shift, the long-term stability, predictability and aesthetic appeal of the dental abutment – the connecting element between an implant and a crown – has gained more importance. With more patients being fitted with dental implants, an infectious disease, peri-implantitis is presenting itself more frequently. 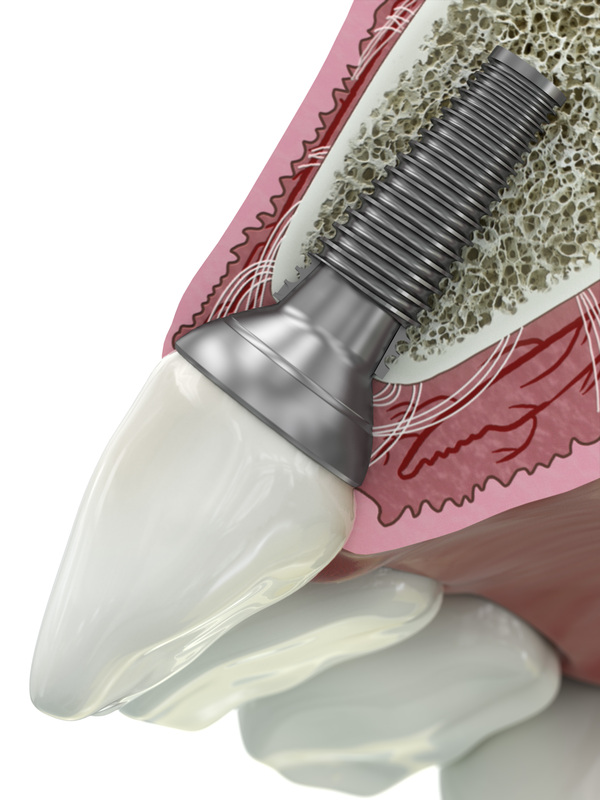 Peri-implantitis inflames the gum and the bone structure around a dental implant, causing the soft tissue around the implant to recede - making the metal abutment visible. The cause of an infection may depend on several factors, such as the health of the soft tissue, the implant’s design and roughness, external morphology or excessive mechanical load. Today, to correct the problem, dental technicians must fire a piece of ceramic to the spot where the metal is visible, using abutments currently available. This is neither aesthetically pleasing, nor a permanent solution, as the ceramic can easily become loose. 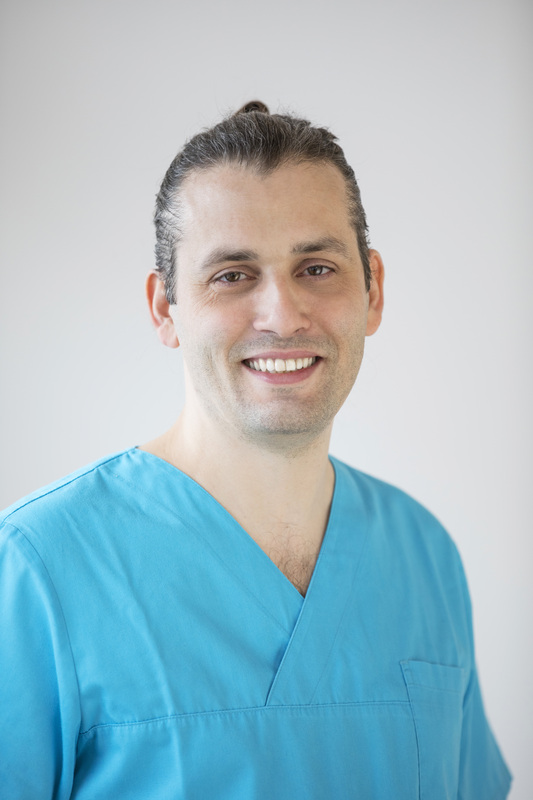 Based in Hall in Tyrol, Austria, Prof. Dr. Kern invented his patented solution, the Extended Anatomic Platform (EAP®), to cover all biological-aesthetical aspects and provide a new design to address this problem caused by peri-implantitis. He spent over 5,000 hours of development time, developed 200 prototypes and took 160 electron microscope images, documenting the cell behavior scientifically, while developing the solution, which has already been granted patents in Europe, Canada and Australia. Compared to existing, standard abutments, Prof. Dr. Kern’s innovative solution features a different geometry, by incorporating ceramic behind the metal and a bowl design that allows the ceramic sits much lower. For patients with a recession of the gingiva, dentists can now simply remove the metal to see the ceramic again. The EAP hybrid abutment for dental implants is more biocompatible, with better cell attachment, enhanced ease-of-use, high aesthetic appeal, subsequently changeable, scientifically proven and sound. In terms of aesthetic appeal, the EAP offers clear advantages over existing titanium abutments. The preparation margin is made entirely of ceramic, and additional modifications are always possible, because the design-related glue joint of the hybrid abutment can be easily and quickly displaced coronally. This guarantees a better reduction of cytotoxic influence of the glue joint. Cells find this an optimal condition to attach to the abutment, enabling the formation of ‘biological width’ to a physiological measure. Offering a larger surface also guarantees solid cell attachment. Before, the glue joint would prevent cell attachment and the development of hemidesmosomes. Smooth surfaces make cell attachment difficult, so the 02. to 0.5 µm roughness on the surface of an EAP abutment encourages cell growth. The traditional, analog way of making final restorations or the use of digital CAD/CAM techniques are both possible. Crowns can be co-manufactured in one piece, either as full ceramic or PFM crown. Dentists and dental technicians are still able maintain their usual work processes when constructing superstructures, maintain a positive effect on long-term stability and modify any visible titanium edges easily. This offers both unique aesthetic appeal and eliminates the issue of residual glue. No other hybrid adhesive base can combine these two decisive factors. Because the thin wall structures of abutments cannot be manufactured using conventional milling techniques, Dr. Kern began to explore additive manufacturing in 2017 and opted for GE Additive’s dental hybrid solution, comprising a Concept Laser Mlab cusing 200R, a milling machine from Georg Fischer (because the abutment still require some milling afterwards) and Follow-Me hyperDENT software. A marginal loss of material, around 85% material savings in contrast to just milling, and un-melted powder can be reused. 50% time saving in production compared to casting. With a 99.6% density of the final product, additive demonstrates better metallurgical properties than with a cast part made from the same material. A specific single software solution controls both the additive manufacturing printing process and the milling process. Follow-Me’s software is an open, highly-automated, flexible system featuring automatic nesting, automatic generation of ID tags for the identification of parts and the automatic generation of the machining allowance for milling. “The dental hybrid process enables economical production of my abutment with highest accuracy. With its dental expertise and technical solutions, GE Additive is the perfect partner for my business,” said Dr. Kern. “This solution combines the advantages of additive manufacturing with subtractive technology, to get the best out of both manufacturing worlds, which means a time and cost-efficient production process,” he added. Additive manufacturing - also known as 3D printing - allows the dental industry manufacture complex, customized, precise frameworks and tension-free dental prostheses for improved fit in the mouth. Metal 3D printing decreases the loss of material compared to just milling. Milling alone can waste up to 85% of the material used in the manufacturing process. Additive also allows for significant time savings—up to 50% faster than casting. And with a final product density of 99.6% additive manufacturing demonstrates better metallurgical properties than with a cast part made from the same material. Implant connections require highest accuracy for a perfect fit, which is ensured by the milling process. Follow-Me’s software controls both the additive manufacturing process and the milling process. The software workflow is perfectly suited to work GE Additive's Concept Laser Mlab cusing machines (Mlab cusing, Mlab cusing R and Mlab cusing 200R), which deliver the highest surface quality, for the most delicate structures, with a minimum footprint. Thanks to their patented pull-out drawer system, the machines combine a high degree of user-friendliness with a high degree of safety. In addition, this allows for a rapid change of material without the risk of powder contamination. Additionally, pins are printed on the build plate, which are then measured in the milling machine and a special 0-point transformation solution ensures the highest accuracy during the milling process of the 3D printed part. As different implant systems have different geometries, various implant libraries are available to produce the required connection geometry. GE Additive – part of GE (NYSE: GE) is a world leader in additive design and manufacturing, a pioneering process that has the power and potential to transform businesses. Through our integrated offering of additive experts, advanced machines and quality materials, we empower our customers to build innovative new products. Products that solve manufacturing challenges, improve business outcomes and help change the world for the better. GE Additive includes additive machine providers Concept Laser and Arcam EBM; along with additive material provider AP&C. Section of abutment in situ. Shrinkage of gingiva reveals titantium abutment. 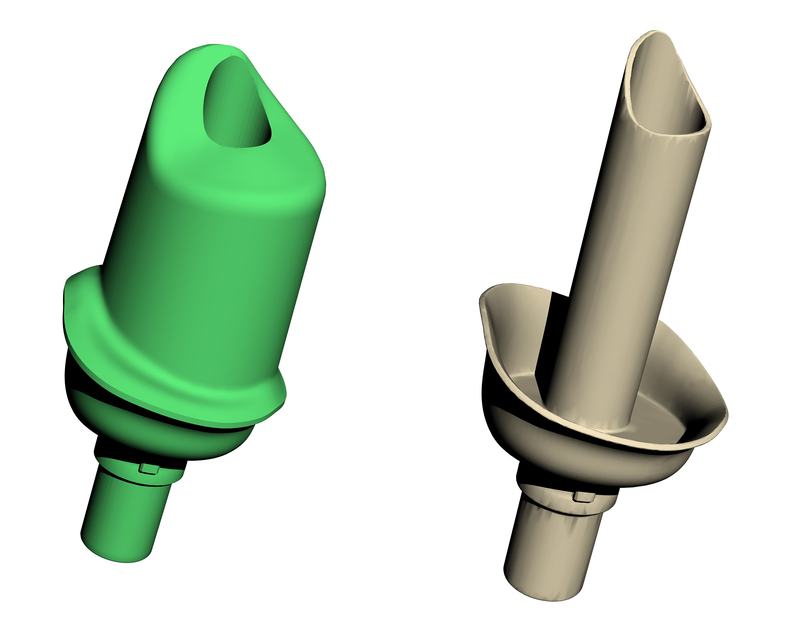 Standard abutment (green) vs. EAP abutment. Portrait Prof. Dr. Mario Kern.